The Chicago Food Swap held its October event last Sunday, the 6th, at the brand-new Savory Spice Shop in Lincoln Square. Although the group was small due to space constraints, it was as lively as ever, and the offerings were as creative and delicious as I have come to expect from this dynamic and dedicated community. 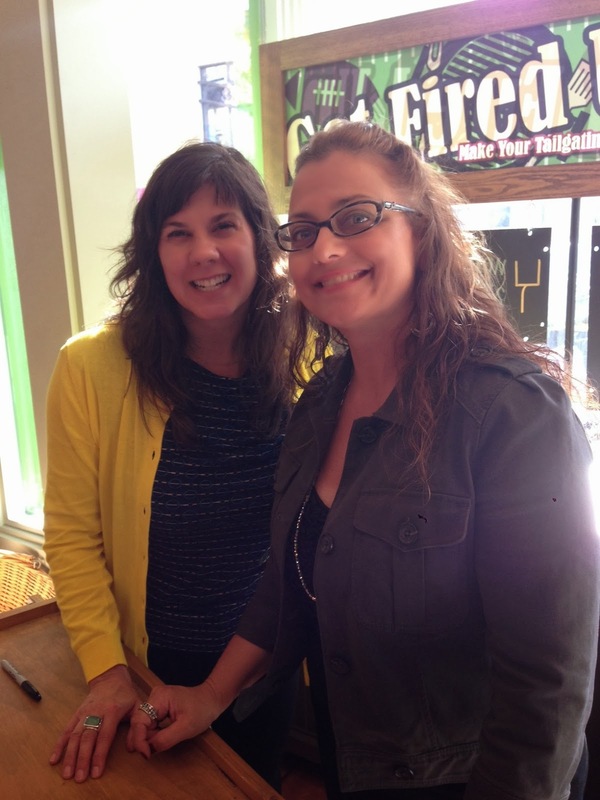 Chef Jill Houk and photographer Angie Garbot signed copies of their new cookbook. 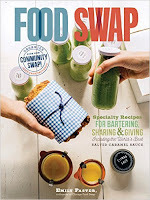 Preceding the swap was a special book signing with local chef (and swapper) Jill Houk and photographer Angie Garbot. 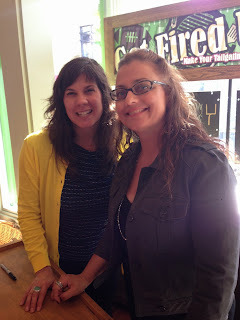 Jill is one of the authors and Angie the photographer of a new cookbook entitled The Essential Dehydrator. This gorgeous book full of recipes featuring dehydrated foods is perfect for the home cook who likes DIY kitchen projects and home food preservation. Angie and Jill graciously signed books and chatted with swappers and those who had come in off the street. It was great to have the as part of our event! The new Savory Spice Shop is the perfect venue for a food swap -- with the possible exception of its size. It was a tight squeeze! Everyone was charmed, however, by the vintage feel of the store and covetous of all the amazing spices and dried herbs on the shelves. Not surprisingly, the line to purchase spices at the end of the afternoon was quite long. 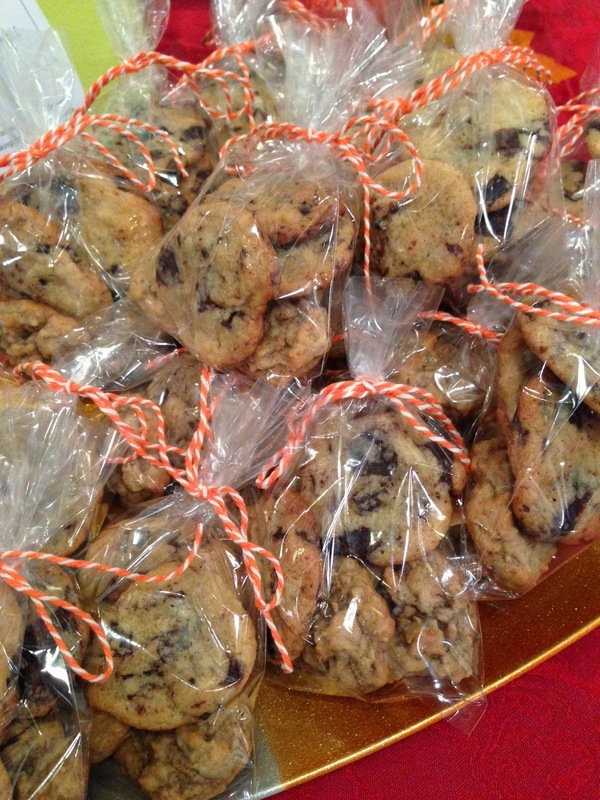 Chocolate chip muesli cookies were a hit! If you are a food lover, I highly recommend a trip to the Lincoln Square neighborhood. Not only will you find the Savory Spice Shop, but The Chopping Block, Chicago's favorite recreational cooking school, has a storefront just down the street. And when you are done shopping, there are a number of terrific restaurants just a stone's throw away. David Trout recommends nearby Opart Thai House. If you are more of a meat-and-potatoes type, try the Chicago Brauhaus to satisfy your craving for sauerbraten. Swapper Melisa dragged a small group of us to dinner there after the swap where we giggled at the leiderhosen-clad Oompa band. Although I did not participate in the yodeling contest -- swapper Tracey was the lucky winner of a set of beer steins -- I did polish off a plate of chicken schnitzel, spaetzle and red cabbage. Apple cider caramels are perfect for fall! The swap itself was great fun. There were many returning swappers, but some new faces as well. For whatever reason -- the weather? 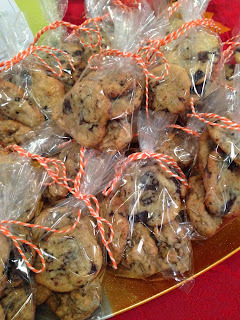 -- there was a surfeit of baked good this time around: lots of yummy quick breads, muffins, cookies, macaroons, whoopie pies, fancy Russian apple buns from Natalia and other treats. 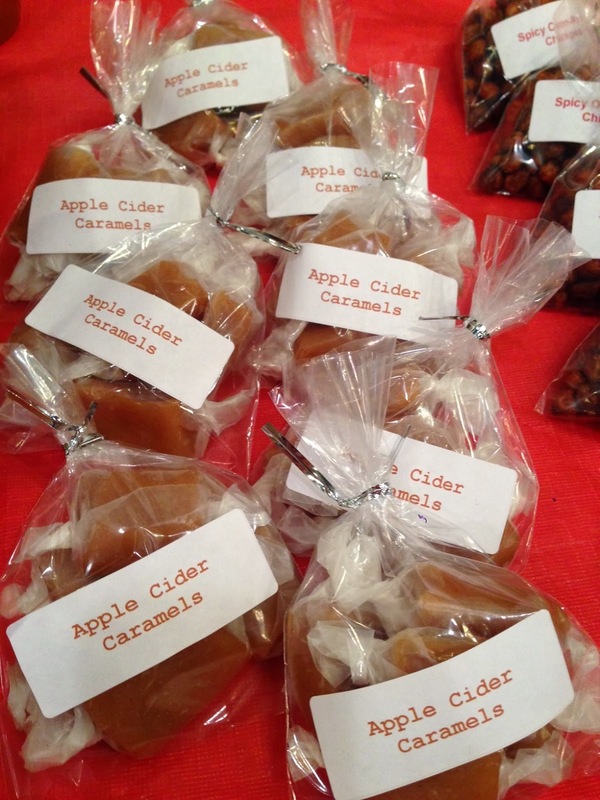 Add to that the homemade candies, like apple cider caramels and peanut butter cups, and dessert was covered. But there were also some awesome savory items, like curry carrot soup, empanadas, red pepper hummus, black bean dip and even pizza rolls from new swapper Daniel. I saw plenty of food in jars, too, including bourbon peach jam, blueberry syrup from Michelle, apple pie filling from Serena, tomato sauces from Stephanie and my own strawberry-orange-rhubarb preserves. Don't forget the drinks! Kristyn brought her son's homemade sodas again, new swapper Kelly brought kombucha and there was some fancy-looking pear ginger vodka floating around. With the onset of fall, there were fewer homegrown items but Andrea did bring some cool herbs to trade. The October swap was limited in size, but the good news is, our next event will be much bigger. 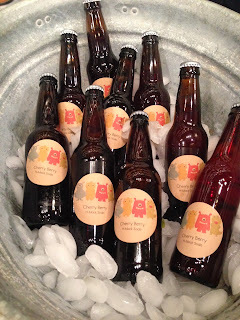 The November swap, which takes place November 10, will be held at The Chopping Block's Merchandise Mart location and there will be plenty of room. You do not want to miss this swap! The Chopping Block has a beautiful demonstration kitchen, where we will be swapping, as well as terrific retail store for all your cooking needs. (There might just be a discount for our group on swap day.) Registration is already open and it is filling up fast, so do not wait to claim your spot. I hope to see you there!